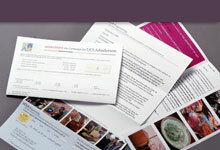 Direct mail can be very successful for customer or donor acquisition. Direct mail has advantages over email marketing: Individuals typically have only one mailing address, as compared to the three email addresses the average person has. People enjoy looking through their mail and they do it on a daily basis. 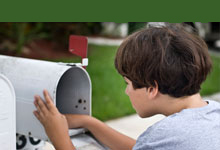 Direct mail has a physical dimension, shape and “feel” which encourages the recipient to set it aside for future review. The success of a mail campaign is based on three factors: the mailing list, relevancy of the offer and the design of the mail piece. Return on Investment (ROI) can be easily determined based on the total cost of the campaign and the total revenue received. 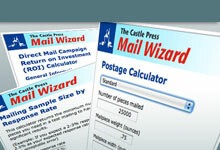 Talk to Castle Press to determine the most effective direct mail marketing tactics to help achieve your goals. The question we should be asking is not so much whether direct mail marketing works (it does) or whether it’s affordable (it is) but: How do I do it? Your offer is right up there with your list selection when it comes to direct-mail impact. But what factors make for productive offers?